The proliferation of data from outside sources is increasingly becoming a boon for retailers who hunger for deeper insights into customers behavior. As a result, organizations small and large are rapidly adopting analytics tools that help them in keeping up with demand for social media, payment and all other kinds of related data. The more a retailer can learn about customer buying choices and patterns, the better they can aim to serve them, resulting in more complete relationships and added profit. 1010data’s offers retail-specific tools that allow retailers to analyze nearly every aspect of their business. The vendor has in-house analysts that have experience working with retail organizations exclusively. 1010data’s retail offering features built-in data management so organizations can control how data is shared with suppliers and other outside sources. The platform is cloud-based, effectively enabling users of any technical level to run analysis without IT intervention. Additionally, 1010data offers shopper insights, merchandising, marketing and promotion insights, supply chain, and store operations tools. Angoss offers advanced analytics tools that allow retailers to tailor customer experience, reward loyalty, and zone in on special initiatives. The platform works by predicting customer responses so that organizations can make smarter product offering decisions. Angoss for retail enables identification and prediction of trigger events for demand planning, product allocation, and online vs. in-store merchandising. The platform also features predictive models that can detect subtle patterns of unusual or suspect activity in data so retailers can use fraud and abuse detection and establish loss prevention. 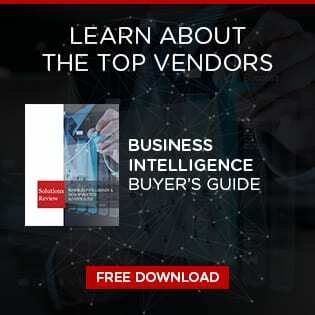 Information Builders runs the gauntlet in data tools they offer for the retail use case, from integration to analytics, and even data management. The provider ties together their feature portfolio to provide retailers with enhanced visibility into multi-channel operations. With a focus on improving merchandising and forecasting, and enhancing ordering, distribution, and replenishment, Information Builders increases the effectiveness of actions to optimize consumer experience. Information Builders for retail information access for all stakeholders so they can gain visibility into all locations and channels. MicroStrategy features perhaps the most impressive list of retail clients in this list, and offers a wide array of tools for their customers. The platform’s customer insight analysis tool helps retailers understand how to better serve their customers, build brand loyalty, and drive growth. Merchandising optimization assists business units in deciding how to stock, place and price products. The platform also features additional analytics capabilities, including financial analysis, promotional analysis and planning, loss prevention, supply chain management, and a vendor portal. MicroStrategy offers more than just retail analytics, including a slew of security and mobile features as well.